If your child interacts with an invisible playmate, he or she is not alone or crazy. By the age of seven more than 60 percent of children have had at least one imaginary friend. Although not seen by grownups, the friend may be personified in a doll or stuffed animal. Some of these friends may reside constantly with your child while others simply drop by once in a while for a visit. Sometimes an imaginary friend gets blamed for things that the child did. For example, my son’s imaginary friend named Peter got blamed for not picking up his wet towel and swimsuit after a visit to my mom’s pool one summer. It was actually my son who didn’t pick up his towel and swimsuit. Peter somehow missed getting in our car when we left Mom’s that day. I must have said something to discourage my son because when I refused to go back and pick up Peter, my son never mentioned his friend again. If I had it to do over, I would have turned around and drove back to Mom’s to get my son’s friend. When he was about five years old, my son’s son, Sidney, had sword battles with a group of playmates he called the Onks. Is the invisible playmate contrived in the child’s mind or is having an imaginary friend a trait of a child who is interacting with the spirit realm? I’m inclined to believe that it is a sign that the child is in touch with his or her inner guidance. When I was a child I had a little yellow duck. My duck sat next to me at the table, took rides on my bike, listened to all my secrets, and went everywhere I went. I left the duck in my grandmother’s lap when I was about five or six years old. I forgot about him until I was 40 years old. When I was going through a very difficult time in 1999, I dreamed of my little yellow duck. In the dream, my duck asked me if he could come back and I said yes. The next time I saw my grandmother I asked her if she still had my duck. I expected that she might have completely forgotten about him, but to my surprise she said, “Yes, I still have him. I’ve been waiting for you to come back to get him.” I thought she was just playing along with me as she pretended to transfer him to me, but things in my life changed after that incident. I found that the voice of my internal guidance was turned up a notch. I began hearing wise and logical advice in my head that led me to make decisions that were remarkably healing for me. Looking back on my imaginary friend, I now realize that my yellow duck was one of my spirit guides. Some children speak in an unknown language with their imaginary friends. My step-granddaughter had an Asian-sounding language that she used before she learned to speak English. She called me Ho-Ho, and while I wasn’t sure whether she was equating me with Santa, I sensed that she and I had been together in a past life in which we shared this language. If your child has an imaginary friend, there is no reason to be upset. Whether or not your child’s playmate is a spirit guide, it is a natural and positive experience for your child to enjoy these invisible friendships. They give a child confidence when in a frightening or unfamiliar situation, such as the first day of kindergarten. As Sidney demonstrates in “You Can Be” and “A Powerful Potion” (stories in The Sid Series), children try out different roles of authority with their imaginary friend and may become the teacher, mother, father, doctor, or zoo keeper! It’s fun to observe a child interacting with an imaginary friend. Listen to their conversations. They may be telling you something about themselves or working out a problem or stressful situation. Always encourage your child’s developing imagination and never discount the possibility that your child may be receiving inner guidance that will serve him well all his life. Does your child talk about when she used to be someone else? Listen to her. Write it down. She could be talking about a past life. Children are a lot more aware of the spirit realm than most adults realize. When a soul comes into a body, it brings with it cellular and/or conscious memory of where it was before coming to earth. Without prompting, many children as young as two years of age remember and speak of their past lives. Some describe details, people, and events of that life that they had no way of learning in this life. The Sun Newspapers in Sri Lanka has a short documentary on YouTube (http://ow.ly/y4z2) about a young girl who remembered living and dying in a village not more than six miles from her current home and life. When taken to the village, she instantly recognized her home, called the names of her siblings, and went directly to the cabinet where her toys were stored in the past life. Fortunately, both sets of her parents accepted this phenomenon and she is allowed to spend time in both homes. Some parents either don't notice what their child is saying or don’t believe it's possible that the child is remembering a past life. They may discount the experience and think the child is making it all up. If your child wants to tell you who they were or how they died in a past life, please listen. Children have much to teach us, and these experienced souls have come to us for a reason. Not only are past life experiences real, they affect us in our present journey. Having knowledge of your past life may explain some behaviors, habits, or health challenges we encounter in this life. Reincarnation was once an accepted belief, but thanks to the Second Council of Constantinople in A.D. 553, many people were led to believe that humans only have one life or one chance to get it right in order to avoid eternal damnation of the soul. Even today, according to Dr. J. Chiappalone’s book Keys to Reality, more than 60 percent of the world's population still believes in reincarnation. According to a 2005 Gallup poll, only 20 percent of Americans believe in reincarnation. I’m Yvonne Perry and I’m the author of The Sid Series. The main character in my book is my grandson, who is now eight years old. His name is Sidney. In real life, he lives in the country. When his family first moved there, the house didn’t have a fence around it. He has owned several dogs and cats—all shapes and sizes, but it seemed like every time he got close to one of his pets, they would run away or die. Sid’s yard now has a fence so Queen and Lucy will stay home where it is safe. I remember my first dog. Her name was Snooks and she was a German shepherd. I loved it when she had a litter of puppies! I hated it when she died of heartworms. I was about twelve years old. That wasn’t my first encounter with death, but it was the first time I had lost a pet and I was pretty upset because I couldn’t see her or play with her anymore. I wrote the stories in The Sid Series book to help kids find answers to some things they may have questions about. For example, it’s hard to understand death. It makes us feel sad when someone we love dies. Some adults say it means that you just don’t exist anymore. Others say being dead means the body can’t do anything, so the spirit leaves the body and goes to a wonderful place called heaven. Some people will tell you that dogs and cats don’t have souls so they can’t go to heaven, but I don’t believe that. I believe in a place known as the afterlife. It’s just like the place you existed before you came alive in the body you have now. Most of us don’t remember where we were before we were born, but I call it the Rainbow World. It must be a good place since none of us have bad memories of it. Scrap is the family dog in my story titled “Puppy Love.” Scrap is old and she’s had a good life, but it’s time for her to go to the Rainbow World. One morning, her family finds her in her favorite sleeping spot, but she’s not moving; she can’t get up and she can’t bark or chase the tractor like she used to. That’s because she is dead. The family is sad and everyone cries. They wrap her in her favorite blanket, dig a big hole in the ground, and put her body in it. It’s like planting a flower or seed, but Scrap’s body is not going to grow like a flower or seed in the spring. The family has a memorial service and talks about Scrap’s death. It’s good to talk about things that you are afraid of or don’t understand. That way, you get more information to help you decide what you want to believe. 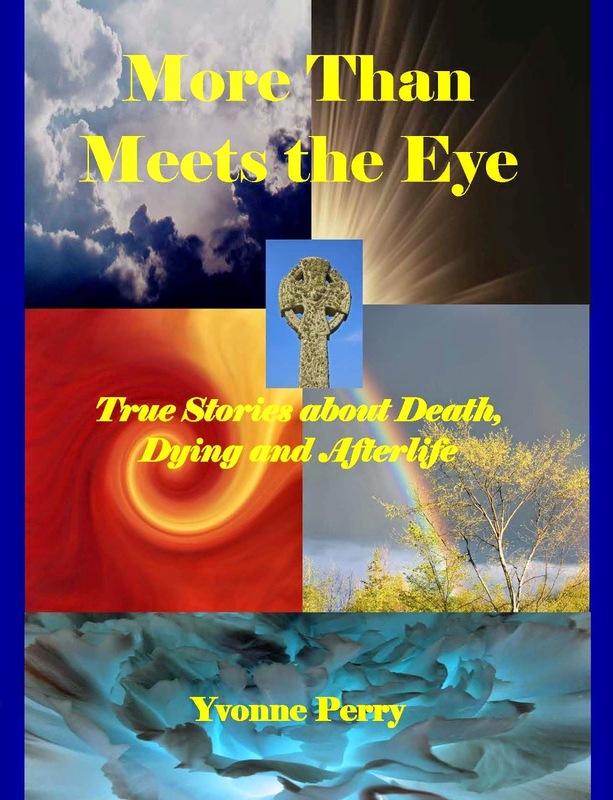 You will get some ideas to help you create your own understanding about afterlife or the Rainbow World when you read my story. Don’t worry, it has a happy ending. If you want to read it, let Barbara or Frankie know and she will email a link to you or your parent. You may read more about each of the stories on my Web site: http://TheSidSeries.com. I have learned a lot from children. So, I’d like to ask you some questions. You can answer them by leaving a comment below. Where do you think Scrap’s soul went when she died? What do you think happened to Scrap’s body when she was buried in the ground? Have you ever seen a person or an animal that is dead? As part of my virtual book tour for The Sid Series ~ A Collection of Holistic Stories for Children, I am presenting to the readers of this blog a flip book version of "Puppy Love ~ Dealing with the Death of a Pet." This is one of the twelve stories in my newly released book to help parents and teachers understand children who demonstrate psychic abilities and spiritual intellect). Scrap had been the family’s dog for many years before Sidney was born. One morning she didn’t come when she was called to breakfast. Learn how Sidney and Von-Von deal with the death of the family pet and the arrival of a new one. I’m the paternal grandmother of a psychic child named Sidney, who is now eight years old. When Sidney was a baby he used to stay with me on the weekends and we did all kinds of fun things together. I began to write about our adventures and the next thing I knew, I had a collection of stories. 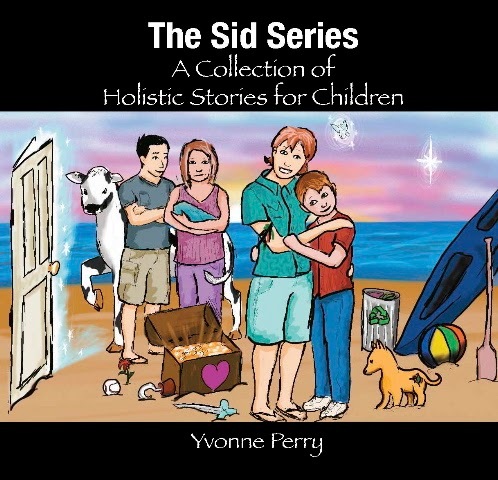 I’ve compiled them into one full-color print book and titled it The Sid Series ~ A Collection of Holistic Stories for Children. He kept on saying Hannah’s name so I finally called his mom, Amanda, and asked what she thought of it. She was amazed because her friend’s daughter was named Hannah. She and Hannah’s mom gave birth within a few weeks of one another but they lost touch a few months after. The last Amanda knew about her friend was that she had a drug problem. Amanda and I said a prayer of protection for Hannah over the phone. Amazingly, Sidney stopped repeating the child’s name. The next week Amanda received a call from someone who was still in touch with Hannah’s family. Hannah’s grandmother had taken custody of her because the child's mother had been neglecting her. Possibly our prayers provided support for that outcome. Sidney continued to show signs of being spiritually aware. When he looked at me, he typically looked around and over me like he was staring at my aura or my guides. Sometimes he would smile for no apparent reason. I imagined my guides making silly faces to entertain him. This gave me reason to believe that he was able to see in the spirit realm. That belief was confirmed one day when Sidney was about four years old. He was with me in my office. I asked him to go get something for me in the other room. He jumped up and started toward the door. Then, all of a sudden he stopped and wouldn’t go through the door. He backed up closer to where I was sitting. “What’s wrong, Sid?” I asked. “Von-Von, who is that?” He pointed toward the hallway. I knew what was happening. I had seen a the spirit of young boy flash across my foyer several weeks prior. Yes, I actually see plasma and flashes of light from time to time. “I’m not sure what his name is,” I said, “but he will not harm you. Let’s call upon Archangels Chamuel and Michael.” I pulled Sid into my lap. He was still staring at the doorway. “He’s gone,” Sidney said. Then, he slid off my lap and walked through the doorway without hesitation. Yvonne Perry is a freelance writer and editor, award-winning Amazon.com bestselling author, podcast host, blogger extraordinaire, newsletter publisher, Internet marketing guru, and an outstanding keynote speaker. She is a graduate of American Institute of Holistic Theology where she earned a Bachelor of Science in Metaphysics. I remember watching the Ghost Whisperer with my Aunt Kat right after she was first diagnosed with terminal lung cancer. The episode was the one where a ghost was throwing silverware and china all over Melinda's dining room. We were sitting in my mom's living room when I turned to Kat and said, "You'd better not do that when you visit me from the spirit world." We both chuckled. This morning, I was sending her love and light during my meditation. Now, for the past hour, I have heard a faint but noticeable tinkling or slight rattling of glass dishes in my cabinet. This might freak out someone who is afraid of ghosts, but I knew it was my aunt and I am quite proud of her for learning so quickly how to move physical objects. I went to the kitchen just now and asked, "Kat, is that you?" I was immediately overwhelmed with a feeling of intense love that draped over me like a warm blanket. What a beautiful thing for her to let me know that she is doing well in the afterlife. Bless you, Kat. I love you! Are all Near-death Experiences Positive and Happy? I got a question from a reader today. I'll share my answer with you. QUESTION: Yvonne, you mentioned in your book that some people considered their near-death experience (NDE) a negative or frightening one. But the accounts you printed were all good ones. What did people tell you who had less than favorable things to say? Is it possible that they experienced some sort of "Hell" ... even if not the typical Christian view that I've heard about? ANSWER: It seems that whatever mindset one has at the time of death is carried over to the afterlife--at least temporarily. 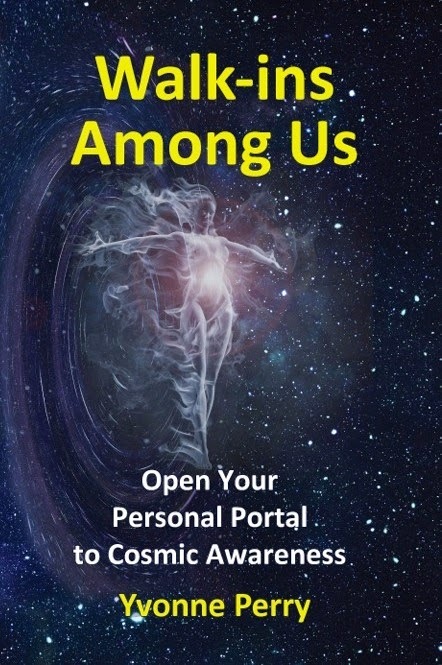 None of the NDErs I interviewed for my book reported a negative experience although some had a difficult time adjusting to being back on the earth plane. I learned about people having hellish NDEs when I read a book by PMH Atwater (http://www.pmhatwater.com/). You can ask questions and read answers on her blog at http://pmhatwater.blogspot.com/. Volatile reactions (anger, rage, behavior changes. Mad at God, med staff, funeral directors, family, in-laws, friends). Loss and loneliness comes a social life is reentered. Holidays feel strange without the deceased. Reestablishment occurs gradually. Reconstructing a new life. Why is Death and Grieving So Difficult? I think our views of death (as well as the closeness of our relationship with the deceased) affects how we express grief. My view of death is that it is a normal part of life--the end of one life phase and the beginning of another. It is common for deceased loved ones to hang out with me.My Aunt Kat is with me in spirit. Therefore, I don't feel sad for her. She's starting her new journey in the afterlife. I also think that the age of the deceased and his or her condition prior to death has a lot to do with how survivors grieve. Knowing that Kat is not suffering physically gives me great consolation. However, it would be horrible to lose a child or a healthy person. We believe we are all supposed to live long, healthy lives--not be cut short by illness or injury. Our beliefs about dying young create a strong sense of loss. It's something none of us wish to go through. It's hard to find purpose in the loss of a child. I'm working with a client who lost her son when he was a junior in high school. Her son has come to her in spirit many times, urging her to write about her healing journey that his death provided. He had a purpose in dying young. It was to help his mother's soul heal and create the life she was destined to enjoy in spite of her loss. I can hardly wait to share her book with my readers. Talking about death should not be hard. We make it difficult because we fear upsetting others or perhaps we fear death itself, but the truth is it is very healing to talk with others about our deceased or dying loved ones.My grandmother (Nanny) and I talk openly and easily about death. We've both had near-death experiences (NDE) and have felt the peace of being spirit without a body. Maybe the purpose of my NDE was to help me share comfort with you and offer a compassionate voice of reason. My cousins are grieving the loss of their mother, my Aunt Kat. One is taking is pretty hard, but I think there may be more guilt involved than grief. One cousin is doing quite well. She did all she could to support and assist her mother in her last days. She has nothing to feel guilty about. She may feel sad, but she is able to talk freely and positively about her mother. Have you talked about your loss? 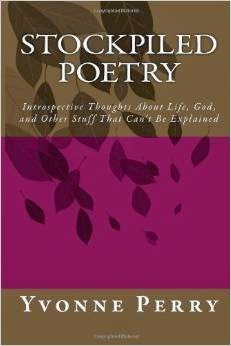 Can you find meaning in death? What are your views about death? Feel free to leave a comment and share your thoughts and feelings. I might be a very therapeutic part of your journey to wholeness. The Natural Burial Company sells biodegradable coffins and urns as a way to help environmentally-conscious folks make a green choice regarding body disposal.They also work with funeral directors and cemetery managers to help them convert to natural funeral and operations techniques. This company found my post and left a comment. However, comments usually get "buried" (pun intended, of course) and are not visible to visitors unless someone clicks on the comment feature underneath (another pun!) the original post. Since this comment is informative and helpful, I'm using it as a post. And, yes I have had my mercury fillings replaced. You don't need to be embalmed when you die. And, actually, you can still be buried in a coffin--you could just make it something handmade, celebrating an artist and keeping an art alive, rather than making it a product out of stamped steel or rainforest hardwood and padded with poly-foam stuffing. RE: your pyre. A group in Colorado have been lobbying to do just that. With respect to emissions, I've got to agree with you - it's a bit of smoke but probably not as much as your average big-brush burn pile. (Just be sure you get your mercury fillings replaced well before the date!) Certainly planting a few trees will more than make up for the footprint, if it's the thing you want most! I think the important thing in this movement is to recognize that many of us desire a more natural end. We're not all offended by the same things. What's dignified to some is not to others (embalming, for example); what's respectful to some is not respectful to others. We only have one death (that we know of). It's the end of the only life we'll ever know until we explore the other side of the mystery. It seems a small thing to insist that we ought to have the death we want (a natural one...) followed by the disposition we want - again, environmentally benign and expressing some of what we value in our lives. For me, and for lots of others, that value seems to be held well by a tree! My aunt passed ten days ago. We had become close in the past year. We kept up by email and phone until she got too weak to get out of bed or talk. Her death doesn't seem real to me. I missed her physical presence while I was with my family over Thanksgiving, but I couldn't feel sorrow. I feel so detached from the situation. Shouldn't I be crying or expressing some type of emotion? While I was home for Thanksgiving, my grandmother and I talked about Kat's death (Nanny and I talk about death as easily as we talk about going to the store) and we both agree that we're glad Kat's no longer suffering from lung cancer. Kat and I had talked several times about her coming death, and she promised to visit me in spirit. She kept her promise. I have sensed her presence several times since her body died. For three days after she passed, I smelled coffee. Strange thing is I didn't have any coffee in the house! She didn't wait until she passed to visit me in spirit. Several days prior to her death I smelled cigarette smoke around me everywhere I went. It was as strong as if someone was in the room with me smoking. I guess that's why I can't believe Kat's really gone or manufacture any grief for her. She's still alive! But here's the catch. I grieved intensely for my grandfather when he died 20 years ago. He and my grandmother had lived next door to me for 5 years at the time. We knew for years he was dying. It was very difficult to keep from crying even months afterward Pap's death. Maybe I was less experienced and unable to talk about the "D" word then. I sensed his presence afterward, too, but it was in dreams that he visited me. When my uncle passed in 2002 I was able to sing at his funeral and read a poem at his graveside service. Edmond had visited me in spirit prior to his death while he was in coma. As a result of his visit, I wrote a poem that actually came to me as a song. I sang it to and for him several weeks before and after his death while he was transitioning. When a friend of mine was murdered in 2007 I cried so much that I couldn't attend his funeral because I knew I would upset everyone there. I didn't know Jerry's family. I only knew Jerry as a networking buddy, but my grief was out of control. Who needs a crying, mourning stranger around them when they are already grieving? The same thing happened when my husband's brother-in-law died suddenly. We went to Dan's celebration of life but I was a total mess all day long. I felt embarrassed for my emotional condition because I hardly knew the guy and yet I was torn up by his loss more than anyone else there. Like a "surrogate" griever, I was expressing the grief that others were holding back. I carried the illness of my sister-in-law's mother as she was dying of a diseased colon. Less than 12 months later, I had a tumor, a polyp, ten inches of my colon, and the connecting lymph nodes removed. Thanks to the clearing work and prayers of others, I did not have cancer. 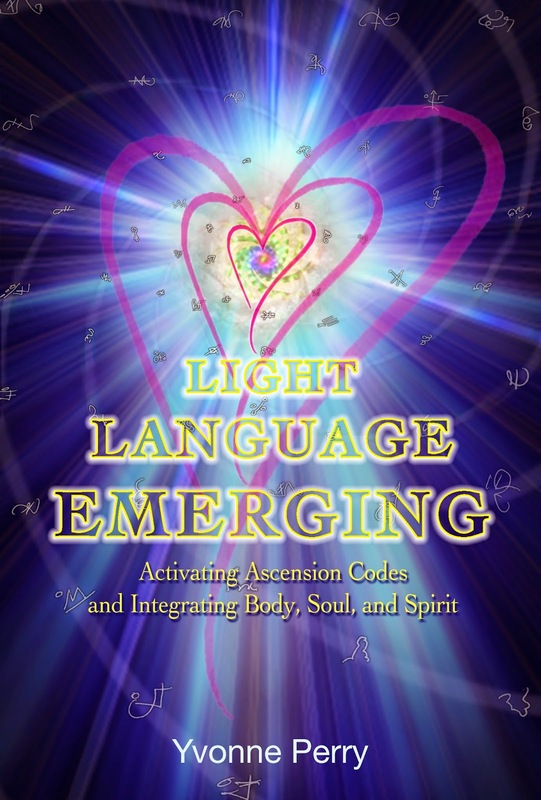 I had an energy worker clear my electromagnetic energy field after Dan's death. I've learned to stop allowing myself to pick up and carry the grieving energy of others. What I'm trying to say here is that it is very dangerous to carry the energy and emotions of others. Yes, we are to help bear one another's burdens, but that means helping those who are grieving and showing love and compassion while folks are still in body. I want to make sure the emotional "discharge" and emotional expression I have in any situation belongs to ME--that these are my OWN feelings and responses--not that of others. I truly love my aunt, but it appears that I do not have any negative feelings, guilt, or grief to express about her passing. I'm enjoying her spiritual presence around me too much to cry for her. I guess I'm the only one in my family who might say, "Hey, Kat, pull up a chair and let's have a cup of coffee!" Hell, I may even buy her a pack of cigarettes. Thanks for the condolences on the death of my Aunt Kat. She was suffering pretty bad toward the end. My grandmother is doing pretty well considering she just lost her daughter (her second child to succumb to a terminal illness). If you’ve been following this blog recently, you know that I am taking a sociology course on death, dying, and bereavement. I’ve been posting responses to the questions our instructor poses. Here is some information on mourning practices and burial rituals in other cultures. 1) Why is it important to learn about mourning and burial practices of other cultures and religions? Be sure to fully explain your response. It will be interesting to see the answers my classmates give to this question. I had to think about this to come up with any answer at all, but I have decided that it is important that we understand one another in our ever-changing global society. Our neighbors, co-workers, friends, extended family, and society in general now include people from every background, race, and nation. If I were to go to the funeral of a New Orleans friend or someone from west New Guinea, I would probably leave when the wailing started (unless rum and revelry were promised next). If the family began cutting themselves, but I wouldn’t offer them any Bandaids or tourniquets! I wouldn’t call the police either. The purpose of a funeral is to provide a social way to accept the reality of death, express grief, dispose of the body, acknowledge the absence of the deceased, draw the community together, comfort one another, and give meaningful to the life and death of the deceased. In my opinion everyone is welcome to practice his own mourning and death rituals. Though I do wonder if it is legal to burn a dead body on a public riverbank. The health department and media would be all over the case. 2) How might learning about the diverse mourning and burial practices be personally and/or professionally useful to you? Page 342 of our text speaks of death rituals as a rite of passage. Each culture has its own way of expressing the rite of separation, the rite of transition, and the rite of reincorporation. All the rituals we learned about this week address these three rites of passage. Learning about the mourning practices and death rituals of other cultures helped me find an appreciation of diversity that helps me understand and accept others. It also gives me compassion to help support the reincorporation of the bereaved back into society without the presence of their loved one. 3) How does learning about these diverse practices help in your understanding of your own mourning and burial related beliefs and practices? The text caused me to think about how I would like my body disposed of when it dies. I have stated in my will that I would like to be cremated, but after reading about so many cultures that burn the body on a pyre, I think I would prefer that method to cremation in a mortuary. It’s so much more celebrative and less expensive to barbeque the dead body in your own backyard. My husband has planned his own funeral. To save money, he wants to be cremated in the backyard fire pit and have his ashes used to fertilize our garden. He has asked me to throw a party in his honor. Everyone should bring their own six-pack of beer or a bottle of liquor, some party favors, and a lot of food that I can freeze so I won’t have to cook for a while (Randy is the family chef, not me!) There will be dancing to 60s and 70s Rock-n-Roll classics, and our sons have been instructed to set off a huge display of fireworks in the cul-de-sac after dark. The media and the fire department will be notified in advance. Now, I’ll ask you to respond to my question. Please type your answer as a comment below this post. How would you like your body to be disposed of when you die? The Green Burial Council is a non-profit organization working to make burial more sustainable, economically viable, and meaningful. I’m all about helping Mother Gaia stay clean and healthy for future generations, so I was pleased to learn that The Green Burial Council is trying to reduce the carbon emissions, waste and the use of toxic chemicals in the cemetery/funeral field and utilize burial as a means of acquiring, restoring, and stewarding natural areas. Personally, I would rather be offered to the Goddess on a fiery pyre on my own property, but I’m sure it would be difficult to get a do-it-yourself-at-home cremation permit in the deep south. Besides, there are environmental issues to think about. It would take a lot of fuel and would generate a considerable amount of smoke pollution. The commercial gas cremation retorts all have after-burners, making the cremation process a virtually "invisible" and a very clean operation. So, I suppose cremation is the closest thing I’ll get to a backyard body barbeque. I chose to revisit the 250-acre Mount Olivet Cemetery yesterday—the same day my Aunt Kat died. How timely. The trip was pre-planned since it was an assignment for the class I’m taking on death, dying, and bereavement and has to be turned in today. I took my 8-year-old grandson, Sidney, with me to get a child’s perspective on this assignment as well as introduce him to the concept of death. I broke the news of Kat’s death to Sidney as we were driving to the cemetery. I was amazed at the insight this loving soul provided about his belief in the afterlife that he calls the Life Stream. I asked him to describe it and he said it is a large swirling circle that never ends. It has a green mist and sometimes the shapes of bodies can be seen in it. I asked him where it is located and he said, “deep within the earth.” He also said it gets colder as you get deeper into the ground. Mount Olivet Cemetery has no formal or planned layout in the older section. The gravel roads wind and twist randomly throughout the monuments. It seems that families bought a section of land and were allowed to inter arbitrarily—facing all directions in unevenly spaced patterns. However, in one section, all the graves were in neat rows with consistent head and foot markers. At first I thought this might have indicated that these were newer sites common to the Resurrection of Death period (1945 to present), but those graves were just as old as the others. Noticing how simple and small the markers were, I now believe this must have been the more economical lots offered for sale during the late 1800s. Those graves are closer together and more uniform—all facing the same direction—still allowing for the expression of individuality if the family could afford it. Knowing how costly some of these ornate structures must have been shows me that not only was it important that a person’s social and financial status be remembered, it was also important that the person’s individuality be expressed. This is not the case in the newer section of Mount Olivet where every identical bronze marker is recessed into the ground. It looks like a mowed field with fake flowers in urns every six to eight feet apart. Sidney liked the graves that expressed individuality—a true child of a baby boomer! He disliked the “boring” graves. A body was been interred at the time we were there. Sidney did not want to approach that scene so I honored his wishes. I didn’t want to expose him to more than he was ready for. However, we did drive by the site once the family had left and the grave had been closed. I must have had some success at gently introducing him to the reality of death. Even after what he experienced today, he actually wants to attend Aunt Kat’s funeral even though I warned him that our family may be crying and very sad. My 8-year-old grandson is spending the weekend with me. Part of our activities include a trip to an old cemetery where he will be Watson and I'll be Sherlock Holmes. We will investigate and take notes on death symbols as part of my class on death, dying, and bereavement. How fitting that our plans coincide with the death of my Aunt Kat who passed just hours ago. Sidney has spent time with Aunt Kat and she absolutely adored him. Our cemetery visit will give me a chance to break the news to Sidney, and hopefully give him a chance to ask questions that his young mind may have about death, dying, and afterlife. I'm sure I'll be the one learning the most on this adventure! As many of you know, my beloved aunt was in hospice for the past year. She was pretty stable for about eight months, but her health began to decline late this past summer. She got weaker day by day over the past month, and then declined rather rapidly this past week. So much so that we knew she probably wouldn't live until Christmas. I had planned to see her when I went home to Georgia for Thanksgiving this coming week, but my mom called me this morning to tell me that Kat passed in her sleep last night. I appreciate your loving thoughts for my family during this time. 1) Should we, as Beloff describes, have a right to die as we choose and have access to any community resources to implement our wishes? Why or Why Not? Yes. The US Constitution allows us the right to pursue happiness and liberty. To violate one’s wishes concerning his or her death is just that--a violation of another person’s will. My grandmother almost died in September, but thanks to medical procedures, she recovered to about half the health she had before her allergic reaction to an antibiotic (Macrobid) she was taking for a urinary tract infection. The drug caused her heart to race for three days, during which time she had been taken to the doctor two times complaining of chest pain. Her heart was pumping at 150 beats per minute and she was on the verge of a stroke or heart attack when she was rushed to the hospital via ambulance. She now has congestive heart failure. She’s had fluid has drained from her chest twice, and she is now in palliative care as a DNR patient. She had surgery while in the hospital to repair a crushed vertebra that was causing her horrible pain. We didn’t think she would survive the surgery, but she did. Ever since coming home from the hospital this last time, she has begged to die--daily repeating the request to family members, Jesus, or anyone who will listen. She says she’s glad I’m coming to see her at Thanksgiving because I’ll sit there and hold her hand and listen to her. That seems to be her most prevalent need at this point--not to be alone. She is so pitiful and has lost the quality of life she once had. Her dignity is lost as she is at the mercy of someone else to change her diapers. This is no way to live. If it were legal to do so, I would personally administer a drug to allow her to die peacefully. I realize that would be active euthanasia, but after watching my uncle and my grandfather die slow agonizing deaths while under medical “care,” I have no problem with this gentle hastening of death. I don’t approve of Dr. Kevorkian being in prison for helping elderly patients end their suffering. It was with their consent, not against their will, but rather in accordance to their will. Everyone has the right to live AND die as they choose. There is no freedom in being forced to live in misery. When the body is dying and beginning to shut down, the appetite is greatly diminished. Nanny doesn’t want to eat, but my mom brings her food and makes her eat a few bites. I know my mom doesn’t want anyone thinking she starved her own mother, but I also know my mom is ready to let go of Nanny and allow her to die of natural causes. From what I read in our text, Nanny could easily die of dehydration if she refused to drink. But then, if she went into a coma, my family would probably have her hydrated with an IV drip. That might bring her around for a few days, but what’s the point? The point is we don’t know when it is someone’s time to die. 2) GUILT: It’s like you’re damned if you do, damned if you don’t. Allowing someone to die, means doing nothing to force them to live. That brings too much guilt on the by-standers, so they go the opposite extreme and use technology to prolong life (or postpone death, as our text says) because again, not to use whatever measures are available also brings guilt. VIOLATION OF WILL: What about the needless suffering we impose on our loved ones by keeping them here against their will? That’s a violation of their will provided they have asked to be allowed to die. Would you tie your loved one to a chair to keep them from leaving you? This is about what we are doing when we use life support and artificial means to keep someone alive when they have expressed the desire to depart. 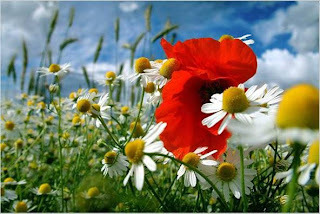 No one is assured, even if they have a living will, that their wishes will be honored. FINANCIAL LOSS: Even those with good health insurance reach a point when the coverage runs out. Keeping a patient alive costs much more than allowing them to die a natural death. Many insurance policies do not pay full death benefits if the insured committed suicide. JUDGEMENT: I have a friend whose brother committed suicide in 1965. His family is still grieving the loss. Early on, they experienced a lot of rejection from friends and even judged and blamed themselves for not being able to see it coming and do something to prevent the suicide. If only people could understand that Brett had personal reasons for taking his own life and stop trying to police society, thereby taking away the rights of another person. 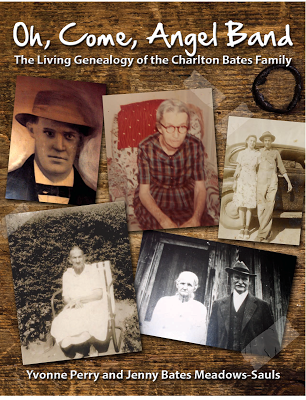 In the “Listening to the Voices” box on page 298-299 of our text, I was so proud of Diane for the decision she made. The fact that she remained in control of her life all the way to the end is admirable. I had no idea that dying with dignity could be so complicated. There’s much more to the process than the physical exhaustion and emotional grief. There are many decisions to be made by and for the patient. We’ve been through this several times as a family, but each individual has a unique situation. While we hold to a quality-of-life view, I truly hope physician-assisted active euthanasia is legal before I’m old or in the condition my grandmother is in. If not, I suppose I’ll have to move to Oregon before I get old and decrepit. At least PAD is legal there. My overall opinion is that if we can force babies to enter the world via induced labor, we should be able to help old folks leave the world when they are ready. We put our pets to sleep when they are suffering, yet we let elderly humans suffer indefinitely. There’s something quite upsetting about that. Some people are more open to having the spirits visit them. Others may be mediums and not know it. They may not be aware that spirits are coming to them. They may just feel drained or vulnerable. I used to pray for the gift of discerning spirits. I also asked that the eyes of my spirit be opened. I wanted to see Jesus (which I never did) and also to see what type of entities were at work when someone asked me to pray for them. I did spiritual warfare or exorcism (which I do NOT recommend) for many years and the intercession wore me out. I didn't realize that I was an empath and that I was taking on the energy of the person I was trying to help. Since then, I've denounced all vows I might have taken in past lives in which I agreed to serve as an empath. I've put strong boundaries of protection around me from detrimental energy. This is very important if you are going to engage in any type of healing, clearing, or energy work. You've heard it said, What you think about comes about. During my church years, I was constantly engaged in battle with what I thought were evil spirits, so I began to create that reality and found myself in a vicious cycle of endless battle. When I stopped believing in a devil (Satan) or evil spirits, the battle stopped. Once I left the church, I still had spiritual encounters, but not in a negative manner. The interaction I now have with the spirit world is peaceful; and rather than calling them to me, the souls find me on their own. You can ask for spirits to visit you, but it is very important that you focus on the light and have your heart filled with love and peace. This raises your vibration so that you attract loving souls who truly desire help you or who want to be part of your team. By team, I mean we have around us many spirit guides, angels, fairies, elementals, and other energetic beings who are wiser than us. They assist us on our journey. Then, we also have some beings who hang around us simply to learn from us or because they enjoy our energy field. This is fine as long as you set boundaries that they are to observe only and not to interfere in any way with your free will or feed off your energy. If you plan to start opening yourself to mediumship, it's very important that you set boundaries as to what you will and will not allow spirit beings to do. Ask for your highest guides and angels of light to protect you. Do some research and read enlightening material to learn the best way to go about it. Make it a daily practice of meditating and simply raising your own vibration. The Clair senses are types of psychic abilities that correspond with the five senses of seeing, hearing, feeling, smelling, and tasting. Read more about these psychic gifts at Suite101.com. Dying an appropriate death means to die in similar fashion to how one has lived—to continue the type of behavior one experienced before he or she entered the dying process. This might be easier to achieve for someone who was killed instantly while doing a daily activity, but it could be more difficult for someone who is bedridden after having lived a very active life. For the patient in a mental facility, death could be appropriate or inappropriate depending upon the circumstances. Many people who have been placed in a mental institution have family members who have given up on them, but this is not always the case. The family may have sent the patient to the facility to help him get medication or medical care to help him stabilize and return to society. That is if he or she survives the stay inside the facility. The staff at many facilities has been accused of either neglecting or torturing patients. It makes me wonder if the real crime was committed before the doors were closed, or afterward. This is clearly demonstrated in the case of 21-year-old Josh Garcia who entered the Colorado Mental Health Institute at Pueblo. His family sent him there to receive treatment for bipolar disorder. They thought he was in good hands, but when he died in the facility, his family sued for neglect of medical care. Josh was given a number of powerful psychoactive drugs, such as Haldol and Thorazine, which caused severe constipation. Even though he complained to his mom and grandmother for weeks that his stomach hurt, the staff did nothing more than give him Maalox, which can also cause constipation. When he was transferred to St. Mary Corwin Hospital in Pueblo, Josh's bowels were so impacted that they burst during emergency surgery. He suffered a massive infection that raised his temperature to 108 degrees and eventually caused brain death. If a patient is being monitored, these problems don’t occur. http://www.thedenverchannel.com/news/19432754/detail.html. Josh’s is not an isolated case. Fox news.com ran a story that showed a video of a 49-year-old woman dying in the waiting room of Kings County Hospital http://www.foxnews.com/story/0,2933,374321,00.html while people nearby, including two security guards, did nothing to help. An hour later, a fellow patient finally got the staff to notice the patient lying in the floor. So many patients have died in similar circumstances after being restrained in psychiatric and mental retardation facilities that North Carolina passed a law to require that deaths in state facilities be reported to the medical examiner and be revealed to the public. Department of Health and Human Services officials said autopsies will be conducted at the discretion of the medical examiner (http://www.wral.com/news/local/story/2635294/). State facilities will now be held more accountable to the people in their care. http://tinyurl.com/ylq6vq9. A good death is free from avoidable suffering for patients, families, and caregivers, and is in general accord with the patients’ and families’ wishes. A good death will include having a sense of control, offering discussion about dying, talking about an afterlife or spiritual issues, reviewing the past, having a sense of humor, being truthful, keeping up personal appearance, having loved ones nearby and participating in loving care. This might be done with medication to alleviate pain, addressing all aspects of dying, using hospice, having a living will. It appears that dying a good death is not a goal of most mental health institutions. Perhaps it is not even possible. Montagne, Renee. “Inside The Nation's Largest Mental Institution.” National Public Radio Accessed 18 October, 2009. Weiss, Eric M. with reporting by Dave Altimari, Dwight F. Blint and Kathleen Megan. “A Nationwide Pattern of Death.” Kathy’s Mental Health. Accessed 18 October, 2009. Organ Transplants: Who Should Get the Second Chance? Module 6 in my course study on death, dying, and bereavement is about organ transplants. One student's response was so good that I asked her for permission to use it on this blog. I share with you the writing of Tamara Randel. There are rigorous rules and steps one must follow in order to stay on the transplant list, and unfortunately there is always going to be the few who feel like they won’t get caught. While waiting for any organ transplant, one is not supposed to smoke (anything), drink alcohol, or participate in any other ways of using drugs. These are simple and straight forward rules that have to be in place because why would one doing such things get a lung or kidney over another waiting listed person when they’re already trying to kill off some of their other organs. I also feel strongly about other factors that aren’t strictly medical based when it comes to factoring out those who I believe are either physically or morally future down the list. I believe that the person who qualifies should be taking care of themselves while waiting for the call, and that a 26 year old mother of a newborn should be put ahead of the 75 year old women who has seen her children and grandchildren grow already ( I’m basing this on the fact that they both followed all guidelines). As for my morally biased view, I believe that those who are currently residing in the death row block of any penitentiary should be disqualified. In 2004 a man who had stabbed two women and successfully killed one (the other received 17 stab wounds but lived to testify against him) and with the approval of the prisons physician was granted a spot on the transplant waiting list. It took less than a month for this to be overturned since his other health issues posed a problem, but California allowed 2 federal inmates to receive transplants in 2003. I feel strongly against this because I don’t think that those who already robbed someone of their life should benefit from another person’s loss of life. It also seems unfair that the procedures were performed at the California taxpayers’ expense. The cost of a transplant of any kind is not cheap what with the medical expenses including Insurance expenses, pre-transplant tests, the organ recovery fee, the surgery itself, the follow up care, the medical staff’s pay, the rehabilitation, the anti-rejection drugs (over $1,000 a month for those alone), and any other medical expenses for unexpected complications. Unfortunately most health insurances will only cover a small amount of the fees if any at all, but Medicaid will cover a big portion of it if not all on the stipulation that you are 65 or older and pay an initial deductable upon hospitalization. Medicare will also cover a portion of transplant if it is absolutely needed, although the amount varies from case to case on variables like patient’s income, coverage, state available funds, and any extra Medicaid funds that can be passed down. There are also many organizations that raise money for transplant patients, these can vary from $500 to thousands and can sometimes only be available to those with a certain type of illness. Other organizations, such as the National Transplant Organization Fund, help the patient fundraise for themselves through flyers and websites. Last year this transplant fund agency raised over 64 million for over 4,000 patients. Even with all of these resources available there is still more need then product, leaving many people to figure out how to deal with the financial burden alone. My beliefs on the ending personal costs and the amount of costs that are covered through state and insurance, or should be covered that way, are mixed. I like the idea of the government paying for procedures that help a citizen have a second chance at life, but I don’t feel that all of the people on the transplant list deserve the second chance. There is a big difference between someone like my mother who has never smoked even a cigarette, who got a rare lung disease that’s cause is unknown as well as the cure, and a person who chooses to smoke cigarettes and narcotics after already being hospitalized for the it in the past and who still chose to go out and repeat the act that they knew would eventually kill them. The latter type of person should still be given care and another chance that would allow them to stop their harmful habits and be considered for the transplant procedure once again, but they should not be given what could save another person who would actually cherish the gift. As for the situation of illegal aliens being allowed five years of little to no cost Medicare, I haven’t decided. I would have no problem with it if the government was also willing to do that for everyone in America, but as it is I have seen quite a few college students denied state medical benefits. The reason behind their denial was on the grounds that they should either go to school half time and find a job with benefits (since they are able bodied) or if that’s too hard then they should skip school altogether and not take advantage of the educational systems ability to help one support themselves better in life. If I could really choose who paid what and the government’s involvement I would choose to go with a socialist health care system like China has. Cathy Letcher. October 19, 2009. History. National Transplant Assistance Fund. Received on November 08, 2009, from http://www.transplantfund.org. What are your opinions about organ transplants? How would you answer the questions our instructor posed to us? Leave a comment or opinion below this post if you'd like to chime in. 1) Should there be limits or restrictions on “who” should be eligible to receive organ/tissue transplants. Should age be a factor? Or should ability to pay for the transplant be a factor? Are there other factors that should eliminate someone from consideration? 2) Discuss issues concerning the cost of transplants. Who should pay for them? Should medical insurance companies be required to cover transplants (all or some types?)? What role should the government (if any) play in funding of transplants? Are near-death experiences are in the mind? Not according to this woman who was down for 57 minutes. No blood pressure, no pulse, no oxygen, no blood flow. She was shocked 21 times before she finally came back with tales of the afterlife. Marvin is 55 years old and he has a brain tumour. He is getting physically weaker by the day and is now having difficulty in breathing. However, he is still mentally very alert. Although Marvin knows that death is imminent, he does not seem to fear death, at least not outwardly. As he is not talking very much about his impending death, I take it as a sign that he or those around him have not fully accepted the reality of his situation. I personally feel if this hurdle is overcome, it would make a tremendous change for all. For the past 17 years, I have witnessed countless deaths. To simplify my observation, some deaths can be termed as “good” or easy while a small number are considered “bad” or difficult. William was 44 years old when he was diagnosed to have kidney cancer. As his cancer ravaged his bones and liver, he became physically weaker. Refusing to believe that his death was near, he fought it all the way. Each day, he harboured hope for a cure and he was constantly searching for it. He was angry with his doctors because they could not offer him a cure and so he directed his hope towards alternative treatments. Despite trying various types of alternative treatments, he succumbed to his disease. William had a difficult time as he was dying. From the numerous house visits, I could see that he was afraid to face death and to accept his own mortality. He was fearful of the unknown after death. What was there waiting for him? Would he exist after death? In contrast, 72-year old Jane who was a former nurse had a peaceful death. She died from a terminal chronic obstructive airway disease as a result of heavy smoking during her younger days. Towards the end of her days, Jane accepted that she was dying and instructed her loved ones not to attempt any heroic resuscitation on her. Instead, they should let her go naturally and peacefully. In short, a good death can be achieved when a person is fully accepting that death is inevitable and that it’s a part of the living process. Better still if he/she believes that we are in essence spiritual beings, not just a physical entity. By fully accepting death and it being a part of a life cycle, we would not cling on to our dying body. This process allows us to let go of our attachments to this physical existence. It lets us focus our remaining energy to prepare ourselves for the next step - the transition into another existence. Whether you believe in a single life or many lives and rebirth, the next step is essentially a transition from a physical existence to a spiritual one. That brings us to the knowledge or belief in our spirituality. Without this, it is truly very difficult to see death in a positive way. When we believe in our spirituality, or when we know deep within that we are essentially a spiritual being, then death can even be something to look forward to. After all, discarding an old and weak physical body that is full of pain for something newer and better should not be too difficult. Thus, whether we are going to experience an easy death or a difficult one depends on how we view death and how we view ourselves. One of the things most dying people are afraid of is the belief that death may be painful. The truth is that death is painless. This is true regardless of whether you are experiencing a good or a difficult death. Pain is a physical sensation. It only exists as long as the physical body is intact. At the point of death, there is no pain as the physical body cannot feel anymore physical sensation. Thus even if one is suffering from severe bone pain as a result of the cancer spreading to the bones, the final moment is pain-free. It was evident in Marvin’s last breath. Death is a subject that is difficult for most people to talk about, yet when one is dying, the urgency is there. This is true for the dying as well as for his loved ones. Talking about death and acknowledging it openly make it easier for all involved to accept death as a natural part of the living process. This acceptance helps the dying to let go of his attachments to his own physical body as well as his attachments to those around him. Likewise, it allows his loved ones to let him go in peace, instead of clinging on to him. Not allowing a dying person to go peacefully can cause him to hang on unnecessarily and make it more difficult for him to go peacefully. In some ancient cultures, death is not seen as something dreadful. In fact, it is an event that is worth celebrating. After all, shouldn’t we be happy that we are “going home”? This reminds me of a memorable death of an old lady. She was the mother of one of my regular patients. Being a very religious person, she had approached death in accordance to her faith. During her last hours, a group of her friends was present to chant sermons for her. Soothing recordings of the chanting were also played continuously as the old lady waited for her final moments. According to her loved ones, she looked radiant when she passed away and all those present were able to sense her departure. The old lady had turned her death into a joyous event! Learning from this, perhaps we should all remind ourselves that death need not be a dreadful thing and that we can turn it into a joyous and spiritual occasion. We do have a choice, even in death. Dr. Tim Ong is a medical doctor who runs his own busy medical practice. In his free time, he enjoys giving public talks, teaching meditation and offering his service to hospice work in the community. He is also the webmaster of The Self Improvement Site and Mind Science Info. He also gives away his personal collection of life transforming ebooks at Book of Transformation. There is an order to the Universe and there is perfection in everything, even if we can't see it. Everything that exists, exists as it is for the purpose of Spirit knowing itself. There is someone in control and that is you. You the Spirit, you the consciousness, you the soul are constantly creating your reality. Unfortunately, most of us are not aware of how this creation process occurs; otherwise we would all be happy. Some say desire is the mitigating factor of creation but not at the level we have generated most of the desires we have today. The initial desire to be a self-aware autonomous entity pervades every moment we exist on this earth plane, because that is the underlying reason the soul chooses to journey here. However, while we are existing here more and more desires and needs of our ego come into play and spiritual freedom becomes difficult to remember. Eventually, the reason for living becomes a forgotten memory causing us to wonder if we ever had a purpose for existing. The challenges and difficulties originally created in order for the soul to grow and evolve are now perceived as dark and evil energies creating havoc on the earth plane instead of the illusion of duality needed in order to experience contrast. We are not in a constant war of good and evil, we are in a constant journey of self-exploration and discovery leading us back home. There is no universal law that dictates we must suffer through our entire existence in order to be worthy to God. Suffering is a catalyst for soul growth and evolution for those seeking to dwell in a higher level of consciousness. Although suffering may be a valuable tool for growth, pushing us to reach into higher realms we should not have to endure it endlessly in order to get into heaven. Disease, tension, conflict, disharmony, lack and limitation are all ways in which our Souls reflect back to us what needs to be transcended in each lifetime or in other words what areas need greater understanding and knowledge. Your life is your messenger in the perfection of the universe. Spirit is perfect, I doubt anyone can find flaw in the source therefore existence is perfect because it comes from the source. Only perfection can come from perfection. If we start to see our lives through the eye of perfection our perception will change accordingly. A perception based on the concept that we are all perfect and equal and only creating difficult realities for the soul to grow and evolve permits much room for forgiveness, acceptance, tolerance, understanding and compassion. What we are lacking is the discernment needed in order to see how divinely perfect we really are. Every situation and circumstance is perfect because it is bringing you into greater awareness of the Spirit that you are. When you have experienced and realized all that your soul is seeking to know about existence, those painful situations and circumstances will no longer be of any use. Our souls do not cause strife and struggle so it can experience pain over and over again. We create challenges so that one day we can truly enjoy existence. You cannot enjoy existence if you feel inadequate, unworthy or less than whole because lack will surround you at every turn. You cannot find peace if you are attached to your family and friends for a sense of happiness because they will not always be in your life in that specific capacity. You cannot enjoy life if you are unable to accept each moment as it is before seeking to change it because you will be resisting your own self first. You cannot enjoy your reality if you believe you are not the one creating it because you will always be worried about what could happen next. However, you will eventually arrive at a place where very little bothers you. You will naturally react with love to everyone around you regardless of how abrasive or ignorant they may have seemed in the past. This love that emanates from you will also affect those whom you connect with. 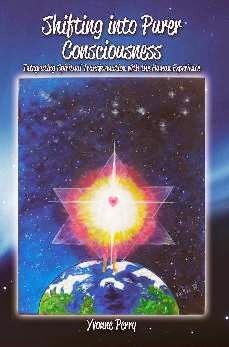 Everything is energy and we are always affecting and being effected by others. You will have to try very hard to experience anger because you have expanded so much your stillness softens everything. Your open heart will help others to realize that we are all beautiful loving beings doing the best we can. Your placid mind will open others up to new horizons previously hidden by fear. You will be the peace the world is waiting for. Let us live in a constant space of joy where heaven can be found. It is time for us to embrace our divinity and begin expressing this aspect of ourselves, that is the only way we can return home. Temple of Knowing Spirit was founded by Cherise Thorne to assist others in self-healing and finding their true soul purpose. We offer a variety of programs such as enlightened living, ascension correspondence home study, monthly healing meditations and a 2 year seminary for those wishing to be ordained. We also provide a 24/7 Healing Your Soul Radio station that allows anyone anywhere in the world to listen to uplifting lectures, thought provoking messages and guided meditations. Our websites can be found at http://www.knowingspirit.org and http://www.newdawnascension.com. This week, someone asked me, "How can I know if my deceased mom is trying to communicate with me?" I suggested that she look for different ways that her mom might give her a sign that she's near. "You may hear a favorite song of hers, see a food that she used to cook for you when you were little, smell her perfume, or recognize/find something that was hers, come across a photo, see someone who looks like her, etc." I told her. The woman replied, "It's so hard to know what is actually "a sign" and what is just me thinking of her, or what's a coincidence ("Oh, look - Mom used to like to cook that" or "that lady is wearing the sam perfume Mom used to like ..." or "she looks kinda like Mom." So everyone can benefit from what I shared with her, I'll post the comments I made to her. How else can your mom let you know it's her? Some newly-crossed spirits haven't learned how to manipulate physical energy to move objects, but they can telepathically impress upon others to do things such as play a certain song, spray on a particular perfume when getting dressed, or ask you to out to dinner and then order something your mom loved to cook. Haven't you ever thought of someone and then he or she called or emailed you the next day or two? One thing of the hardest things about spirit communication is believing when you have encountered a spirit--especially if your gift is not that of clairvoyance--to trust what messages you receive; and that just comes with acknowledging signs and communicating like you believe they really are listening. October is the month in which many Americans celebrate All Saints' Day or Samhain (Nov 1), better known as Halloween (October 31). The Haitians method of honoring deceased loved ones involves setting up an altar with photographs or other images of ancestors they wish to honor, and any special offerings of food or drink enjoyed by those ancestors during their lives. Prayers, drumming, dancing, and the preparation of feasts are part of their ritual of reverence for their deceased loved ones. People dress up, take to the streets, dance their communion with the ancestors, and walk in processions to the graveyards where they feed their ancestral dead with the gifts of their own table. The purpose of the ritual is to thank the ancestors and spirits for their protection and to request their helpful guidance for the future. This is a general celebration of all deceased. If you have information about other religions or people of different cultures view death, dying, and afterlife, I’d love to have you post as a guest blogger. Leave a comment and I’ll get in touch with you.